The Steem-Engine market is now live! HODL on to those Steem Monsters Poker Tokens! The reason why is simple, the more you own, the more perks you get for having them. Kinda like staking, except I will be doing this all manually (for now) until I get a bot to do the hard work for me. Please Note: This is just an EXAMPLE of what I will be looking to have set up by the end of March. Expect some changes as this may not be exactly how things end up. If 50+ people sign up and resteem, I will use the cone graph above (or a slightly modified version with even more rewards) to designate the airdrops. If 20+ people sign up and resteem, I will adjust the required balances slightly, or possibly the rewards, whichever seems to be most effective. Those of you who may choose to get in during the early stage of this initiative will have the benefit of getting the most tokens for free! There is only a total of 10,000 SMPT in existence! That means if you want to be an honorable member of the HODL'ers Cartel, there's no better time than now to start collecting! Free Access to VIP tournaments. Lately, the amount of games I've hosted have slowed down a bit since I've been a little busy with other projects but I am looking to get Steem Monsters Poker back in full-swing A.S.A.P. Click HERE to see the full list of SMPT HODL'ers and their balances. In order to receive these airdrops you must complete your registration by joining The HODL'ers Cartel on Discord. It's SUPER easy! Join, and comment your STEEM username. That's it! Once you have done that, all you have to do is hold on to as much SMPT as you can! 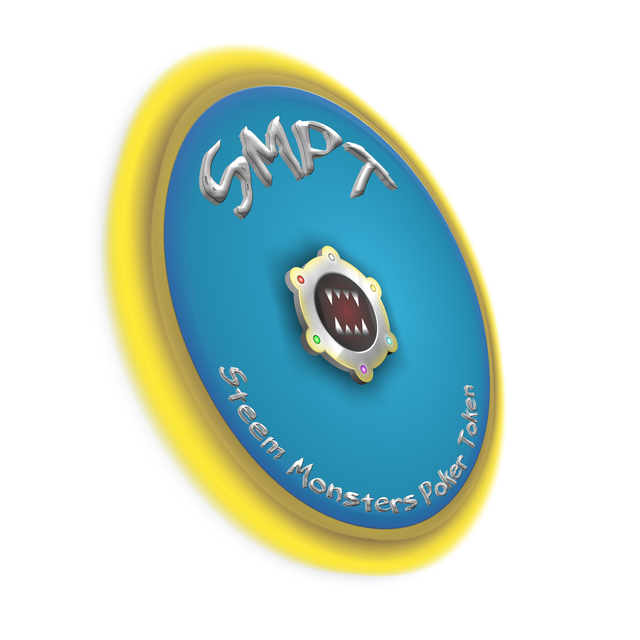 The next Steem Monsters Poker Tournament will be announced later today, on Discord. Come and join in on the fun! See you at the table! How does this work for those of us who signed up under you long ago? I should get back to playing at some point. Can we buy SMPT with NLC2? I like this idea. Is there an easy way to query all the holders of a token? I'm sure someone will do that and make it queryable. Ask @holger80, he more than likely can help you. Wow seems awesome. Still, haven't got time to learn and play poker. Life's too busy. But I hope, you will hit success with your project. Good Luck! Yea you do! :D It's a lot of fun! w00t! Welcome aboard! Thanks for your support @davidchen! Do I have to purchase the token from the market? Thanks! You can if you'd like to. :) I also give a few out for resteems and well made comments. Thanks! Sent ya a few tokens :) Hope to see ya in the next tourney. Will be announced on Discord as soon as details are available. Nice! :) Sent ya some tokens yesterday after you resteemed :) Thanks! do I just keep the tokens in the wallet to earn rewards one that has been implanted? 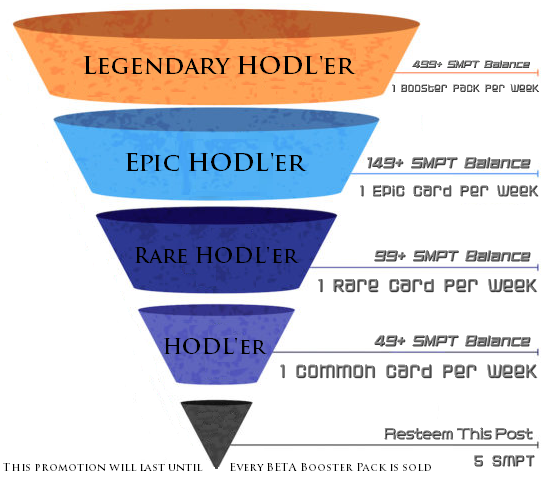 Nothing is 100% official yet but yes, the idea is that the more SMPT you have, the more rewards you will be eligible for. so the only way for me to get more SMPT is to buy or play poker with you? Not necessarily, I also give them away to people who make posts about Steem Monsters Poker, upvote/resteem/comment on my posts, and will likely be giving some away for other reasons. If you wanted a lot of them at once you would have to buy them from the open market though. Hi @crystalhuman I registered at nolimitcoinpoker.com and made the resteem of the post. Then I replied to the nolimitcoinpoker.com verification mail with my Steem Monser referral. I did it right? I love your project and I wish you the best! This is going to be huge and be prepared to get destroyed friends! You just got a 9.13% upvote from SteemPlus! @crystalhuman, sorry to see you have less Steem Power. Your level lowered and you are now a Red Fish! You made more than 16000 upvotes. Your next target is to reach 17000 upvotes.